So while you wait for me to write something intelligent, here's a photo you can enjoy while you pass the time. It was taken on the Nile in Luxor, Egypt on a trip with my dad in November 2006. 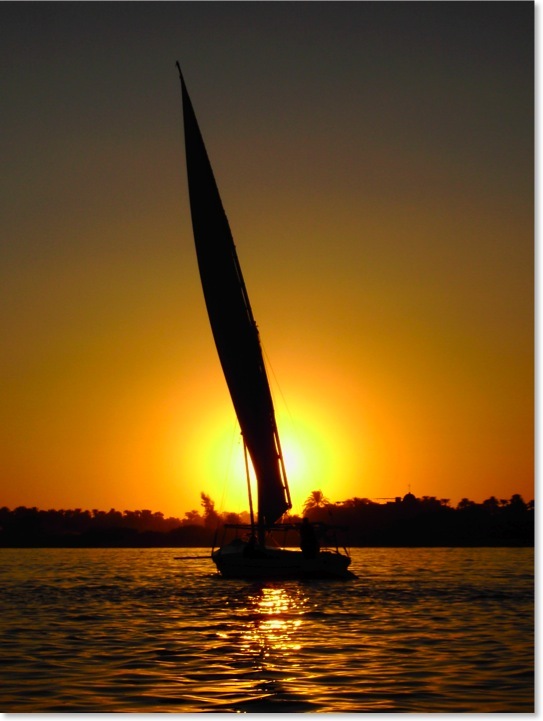 After a long day of sightseeing, we decided it would be fun to take a take a sail-boat ride out on the Nile. We had a nice hour-long boat ride just at dusk, and I managed to capture this photo. With almost no breeze and a strong current, we only managed to travel about 100 meters upstream. Fortunately, distance was not the point of the ride.